Join a carnival refers to posting in a blog carnival. I periodically post in the Assistive technology Blog Carnival, but I really could make more of an effort, so look forward to an entry soon on this month's topic of, "My Favorite Things". Who do you love and why? Asks you to look at the blogs you love (that are in a similar field) and really figure out what makes them great. I know that I have about 100 blogs in my reader so I took at look at which ones I look forward to and this is what I realized: I look forward to the ones that post nearly every day, the ones that have photos, the ones that share something I can use right away and/or stories, and the ones that have a certain seriousness of purpose. I also appreciate good writing, although I don't mind a typo or two if it does not distract from the message (must be the sped teacher in me... or the dyslexic in me). 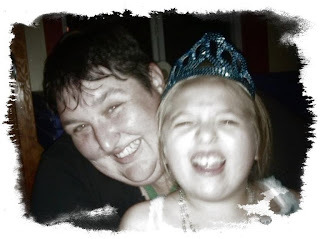 Something that is not particularly useful to me as a blogger is that I enjoy the blogs of parents of learners with special needs, I really makes me connect to the other 18 hours a day of the five days of a school week, plus the weekends and vacations my students are not with me and it reminds me what is important. Going on a dead link hunt is something I do twice a year, the end of June and winter break. I am running a broken link check as I type this and will work on weeding out the broken links over the Thanksgiving recess. Promote a comment is the process of taking a comment and using it as a spring board to write a new post. Look forward to it in the next few days.